Mahogany color. Exotic aromas of juicy tangerine, saffron, orris root, ginger, cola, stewed plums,cinnamon, and lemon balm with a velvety, vibrant, bittersweet medium body and a warming, involved, medium-long milk chocolate covered nuts, espresso, and chicory finish. A floral-spiked bitter liqueur that will fit in a wide variety of cocktails; expert balance makes this a nice choice to sip neat after dinner. Bottom Line: A floral-spiked bitter liqueur that will fit in a wide variety of cocktails; expert balance makes this a nice choice to sip neat after dinner. 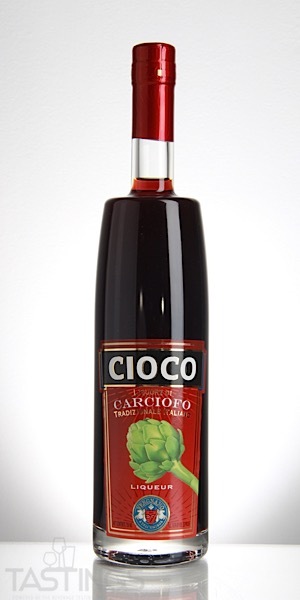 89 • Amaro Black Note Amaro Liqueur 21% (Italy) $32.95. 89 • Bailoni NV Gold Marillen-Frizzante Sparkling Wine, Austria 6% (Austria) $19.99. 87 • Bailoni Original Gold Apricot Brandy 40% (Austria) $49.95. 91 • Bailoni Wachauer Gold-Apricot Liqueur 30% (Austria) $39.95. 92 • By The Dutch Batavia Arrack Indonesia Rum 48% (Indonesia) $64.00. 94 • By The Dutch Dry Gin 42.5% (Netherlands) $48.00. 87 • By The Dutch Old Genever 38% (Netherlands) $45.00. 95 • Enrico Toro Torella 72 Liqueur 38% (Italy) $49.00. 96 • Ferdinand’s Saar Quince Vodka 30% (Germany) $63.00. 94 • Fratelli Vergnano Cioco Artichoke Liqueur 16.5% (Italy) $31.95. 88 • Kalani Coconut Rum Liqueur 30% (Mexico) $32.00. 82 • NV Absinthe Verte 38% (France) $29.95. 88 • Padro & Co. Blanco Reserva Sweet Vermouth 18% (Spain) $30.95. 84 • Padro & Co. Dorado Amargo Suave Sweet Vermouth 18% (Spain) $29.95. 95 • Padro & Co. Reserva Especial Sweet Vermouth 18% (Spain) $35.00. 90 • Padro & Co. Rojo Clasico Sweet Vermouth 18% (Spain) $28.00. 89 • Padro & Co. Rojo Amargo Sweet Vermouth 18% (Spain) $42.00. 89 • Ron Caribe Silver Premium Rum 40% (Mexico) $19.95. 87 • Ron Caribe Añejo Superior Ocho Años Rum 40% (Mexico) $32.95. 90 • Spirit of HVEN Tycho’s Star Swedish Single Malt Whisky 41.8% (Sweden) $130.00. 86 • Spirit of HVEN Organic Summer Spirit 40% (Sweden) $44.00. 92 • Turin Drapo Rosé Sweet Vermouth 16% (Italy) $23.95. 84 • Tuve Fernet Liqueur 39% (Italy) $36.95. 85 • Tuve Bitter Liqueur 25% (Italy) $33.95. Fratelli Vergnano Cioco Artichoke Liqueur rating was calculated by tastings.com to be 94 points out of 100 on 8/10/2018. Please note that MSRP may have changed since the date of our review.